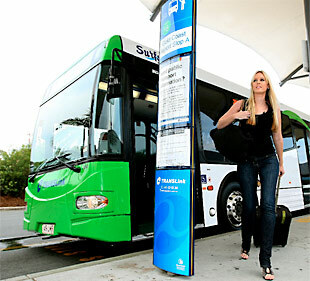 If you stay at The Shore Holiday Apartments, there is no need to worry yourself with a rental car to get around the Gold Coast, because we are located only 100 metres from a bus stop on the highway that will take you past all tourist hot spots! You can plan your journey down to the minute just by visiting the Translink website here. It’s that easy! If you’re flying in to the Gold Coast for your holiday, why not save money on a taxi or rental car and grab the bus up to The Shore instead! You’ll get dropped 100 metres from our front door and we’ll be here waiting to greet you.